Walsall’s Marks and Spencer’s is just one of a hundred stores in the chain across the country to be threatened with closure, there are others across the West Midlands. Comments made by M&S’s CEO when he announced the closures do not bode well for any of the stores based in a High Street location. He made reference to the viability of “old town centres” and was looking towards the out of town retail parks as the future for the business. “This is not good news for high streets in general” said Liberal Democrat group Leader and the new Chair of the Environment and Economy Scrutiny Panel on Walsall Council. We were in favour of the move to buy the Saddlers Centre in the town. We agreed with Labour that if we were to stop the decline of town centre retail we needed to take the opportunity to link regeneration through from the train station, the Saddlers to the Art Gallery and on to the waterfront area. Left to market forces as the Tories seem to want to do would be even worse and we could be looking at another “Old Square” situation, there only a hand full of shops are left open. 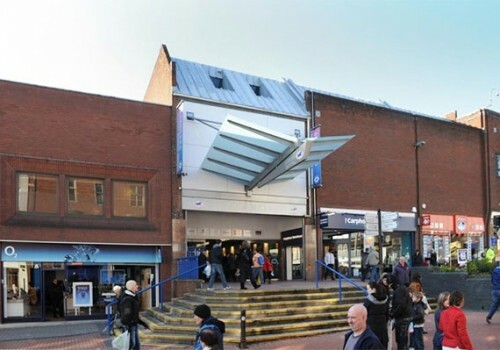 “This is not just a Walsall problem, it applies to many High Streets across the country and I think that time would be better spent on looking for a solution instead of recriminations” said Cllr Shires. I agree totally horrified M&S has pulled out. Can’t understand it the Walsall was excellent well laid out all ladies and food on ground. With just men’s children’s and cafe upstairs. They told me to go to Wolverhampton I don’t like Wolverhampton centre and their M&S is cramped. When I looked at their website it told me to go to M6 Hilton services as if I’m going to go from junction 10 to Junction! I could go to Junction 9 where Simply Food has just opened. But I make my point here not everyone in Walsall has a car ! A lot of elderly people use the bus and prefer M&S food is better quality than Tesco. I have written to the CEO of M&S complaining but alas I fear it’s too late. What Walsall needs is a Simply Food on the Saddlers. I live in Essington and we actually went to Telford in Shropshire to go clothes shopping! They had a novel idea of empty shops a pop up table tennis shop !